INTERMAT GROUP S.A. widely known as INTERMAT STEALTH is developing and producing world’s most known coatings for thermal/IR signature reduction which can break the lock-on from incoming heat seeking missiles. Made for harsh military use, Intermat coatings technology integrates high Stealth Mobility and high Stealth Capability in an all-in-one combat-proven weightless camouflage system. The utmost protection that warfighters, vehicles, weapon systems and assets can have. 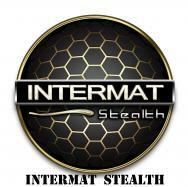 With extra features the ease of application, free of any maintenance and solar reflectivity, INTERMAT STEALTH offers the perfect NATO and US DoD approved product for modern warfare stealth operations.